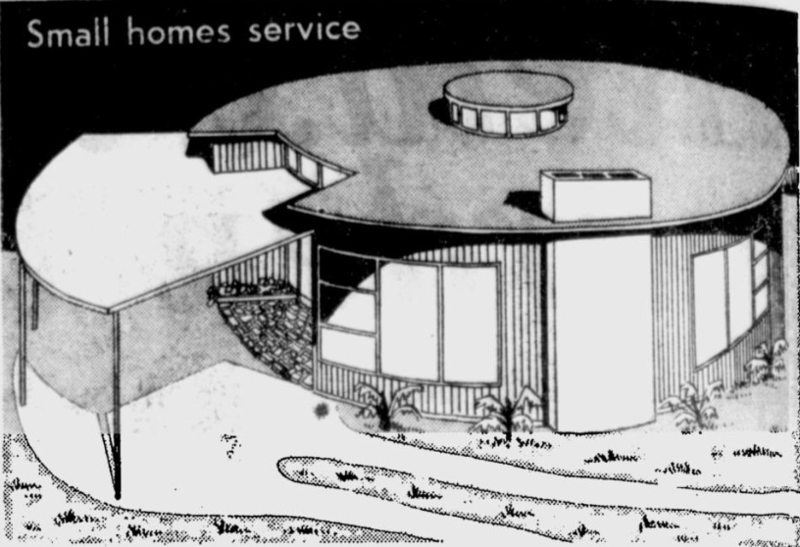 By the early ’60s, circular homes had gained a modicum of acceptance in Australia. Noted architects Roy Grounds and Alex Jelinek had already designed round houses on the outskirts of Melbourne and Canberra, and the Sydney Morning Herald had run articles on round houses in the US. How many circular house plans were sold — and whether any were built — is not known.